Our programs cover a full range of development by teaching pre-school children the FUNdamentals of movement and sports skills, right through to teaching seniors how to maintain mobility and optimum fitness levels. Seniors also have FUN by participating in classes and social activities such as dancing and walking clubs. The programs and training offered are based upon the principles outlined by Sports Canada’s Long Term Athlete Development Model of “Active for Life”. The most current methodologies in physical fitness training are implemented. 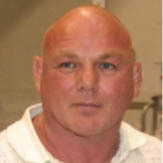 Ron Angus is a Graduate of the NCI (National Coaching Institute) with a Diploma in High Performance Coaching, Olympic and World Judo Coach, Judo and Physical Literacy Instructor and Motivational Speaker on “Living an Active and Healthy Lifestyle”. He has competed in 23 consecutive Senior National Judo Championships and in 11 World Masters Judo Championships. Recently Ron was named the 2010 Coaches Association of Ontario Grassroots/Recreation Male Coach of the Year. 2010 Inductee into the Burlington Sports Hall of Fame. 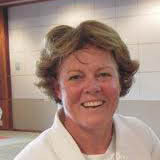 Tracy Angus is a Graduate of the National Coaching Institute with a Diploma in High Performance Coaching. She was awarded in the 1990 New Zealand Commemorative Medal for Services to Sport. Tracy has an extensive background in International Competition both as a competitor and coach. She is also a public speaker; advocate for the benefit of girls and women staying active for life; and a passionate supporter for community sport and an active lifestyle.